Canterbury Daily Photo: Good Morning, Canterbury! When I woke up this morning with the birds singing in the woods behind my house and the sun shining I knew it was photo day. 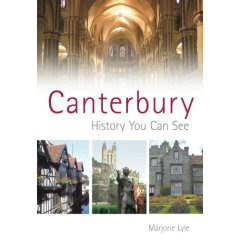 So I put some confortable shoes on and off I went to Canterbury. I stopped in Godmersham and Chillham on the way - they are perfect villages and also part of Canterbury - and took a few photos. At the end of the day I had 704 photos in total but obviously with my skill I had less than 20 decent photos left in the end of the day. This is one is one of my favourites. 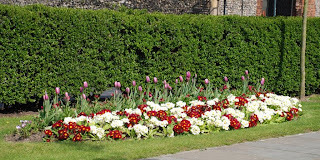 English people are very keen gardeners and at this time of the year, most towns have many flower beds around. I found this one in the Lady Wootton's Green. Beautiful! It's nice to see evidence of spring.